Rent a Laptop computer to meet the immediate requirements of the corporate office. 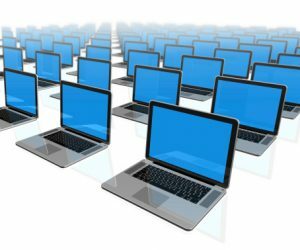 The laptop rental companies in Dubai are offering a wide range of options to rent laptop computers in bulk or in any numbers to meet the existing office requirements of a business. Although the corporate companies can own laptop for their employees, they still prefer to Rent a Laptop Computer, which appears to be an economical option. There are various brands of laptops available for rental such as, Asus laptop, Lenovo laptop, Dell laptop, Toshiba Laptop, HP Laptop, Apple Laptop and much more. All these advanced laptops will have better performance, mobility and innovation in them. Is Renting A Laptop Advantageous? Laptops are used as the productive tools for educational institutions, office, corporate and even home. They help people to work or use it for various purposes when they travel or work remotely. The laptop rental companies in Dubai will offer an array of laptops in various sizes, features, styles and specifications. There are also slim designs of laptops available for rentals. If you are seeking for lightweight machines, then the rental services are ready to provide you according to your individual preferences. To say, they are very specific in providing competitive services, for which they make avail of the most advanced system features touch screen functionality, high definition display monitors, built-in speakers, high capacity memory, and much more. In addition to it, it is also possible to rent laptops with features like digital microphones, long lasting lithium batteries, webcams, wireless networking and precision touchpads. How Flexible Are The Laptop Rental Services In Dubai? Unquestionably, the laptop rental company will provide instant services to the customers, especially for the corporate companies and organizations, running business at huge levels. They are ready to meet any immediate requirements, including bulk rentals. No matter the requirement if for daily, weekly, monthly or even more, they are ready to fulfill the various needs of their clients. The laptop rental companies strive to provide flexible services to their clients. They help in transporting the equipments to the client’s place and provide installation assistance as required. They provide guided attendance during any special event taking place in the organization. The technical support team is further ready to attend customer’s call any time round the clock to get the issues fixed. They also have a team of repair services, which can instantly react to get the repairs in laptop solved, while letting the clients continue with their work without any hassle. Affordability is an other major criterion, why the laptop rental companies in Dubai gaining more popularity. Businesses or corporate companies can flexibly hire expensive laptops with advanced specifications at highly affordable cost, which is going to productively influence their overall investment in the business, when compared to owning laptops. Visit our site www.vrscomputers.com for more info about Rent a Laptop Computer in Dubai. Contact us at +971-55-5182748 and discuss your requirement.